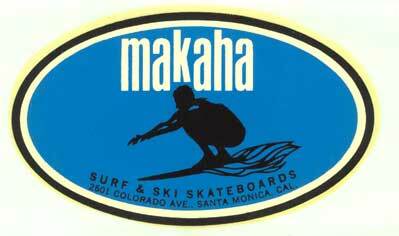 An extremely rare, original Makaha skateboard decal/sticker, circa 1964. Excellent condition. Could still be used as a decal or framed. I had five perfect decals and one has already sold. But I've decided to sell two more and keep the remaining two for myself. So if you're interested in owning an iconic piece of skateboarding history: contact. Makaha Skateboards were the first commercially produced skateboards and the invention of L.A. County lifeguard, Larry Stevenson. Larry based his prototype on a cross between a homemade skateboard and a surfboard. His idea was soon copied by a number of manufacturers and it wasn't long before what the media described as a 'skateboard craze' swept across the USA and the world. 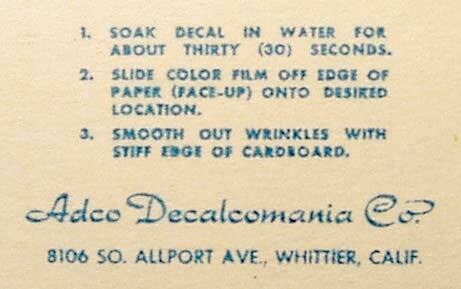 The instructions on the back of this decal (enlarged).